Sam Dillon is a native New Yorker, saxophonist, woodwind player, bandleader, composer and teacher. After playing with legendary trombonist Al Grey, at the age of 14, Sam never looked back. Since then, Sam has become a very active and in-demand player on the New York music scene. He has performed with Roger Humphries, Joe Chambers, Randy Brecker, John Fedchock, David Weiss, John Riley, Jimmy Greene, Dwayne Burno, Orrin Evans and many more. Some of Sam’s noteworthy performances have included The Joe Chambers “Moving Pictures” Jazz Orchestra @ Lincoln Center’s Dizzy’s Club Coca-Cola, Bill Mobley’s “Smoke Big Band”, The Jason Marshal Big Band, The Captain Black Big Band, The Artie Shaw Jazz Orchestra, The Cecilia Coleman Big Band, The Will Caviness Sextet, The Paris Wight Quintet, The Sam Dillon Quartet and The SNAP Saxophone Quartet. Additionally, Sam appears as a sideman on 9 commercially sold recordings and has made several appearances for two HBO T.V. series. In 2013, Sam was selected as one of 13 semi-finalists in the Thelonious Monk International Jazz Saxophone Competition where he performed at the Smithsonian Institute in Washington D.C. 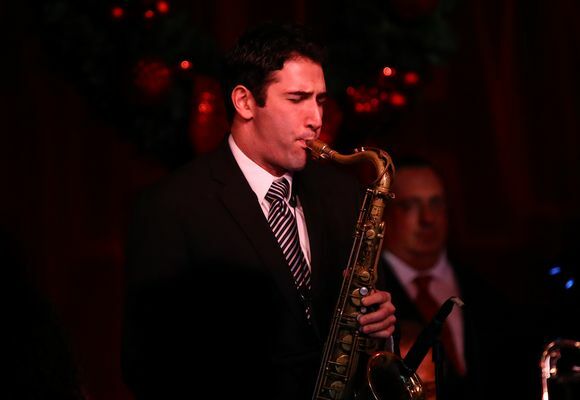 In 2015, Sam was selected as the saxophonist for The Juilliard Jazz Artist Diploma Program. This sextet rehearses and performs on a regular basis both locally and internationally. In addition to performing, Sam has gained over 10 years of teaching experience, as both a private teacher and as an adjunct faculty member with several schools. Areas of study include saxophone, clarinet, flute, harmony and jazz improvisation. Additionally, Sam has instructed several music workshops for schools and summer programs as a special guest clinician. For further information please visit www.samdillonmusic.com.